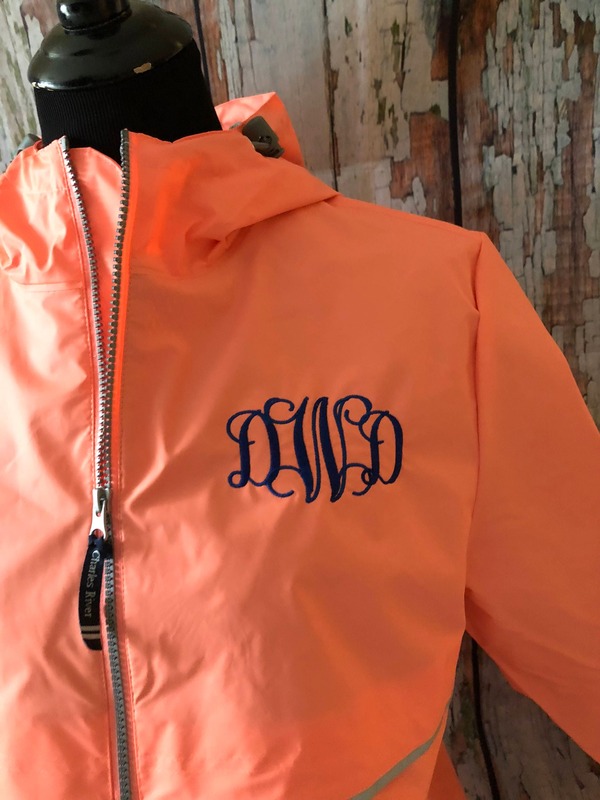 These Women's Monogrammed Rain Jackets keep you dry and warm! 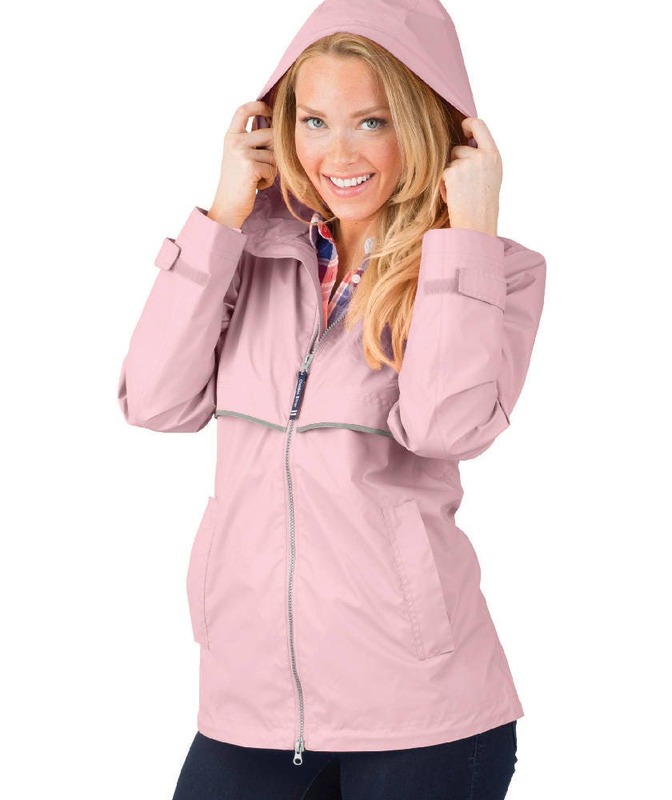 The Charles River New Englander Rain Jacket is Rain and Windproof and perfect for layering in the winter or spring! 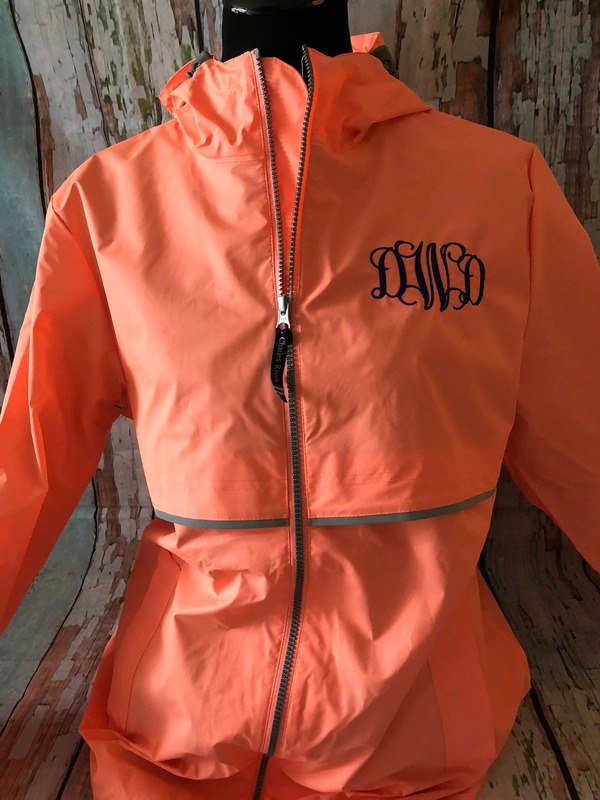 Personalize your jacket and look great even on a rainy day. 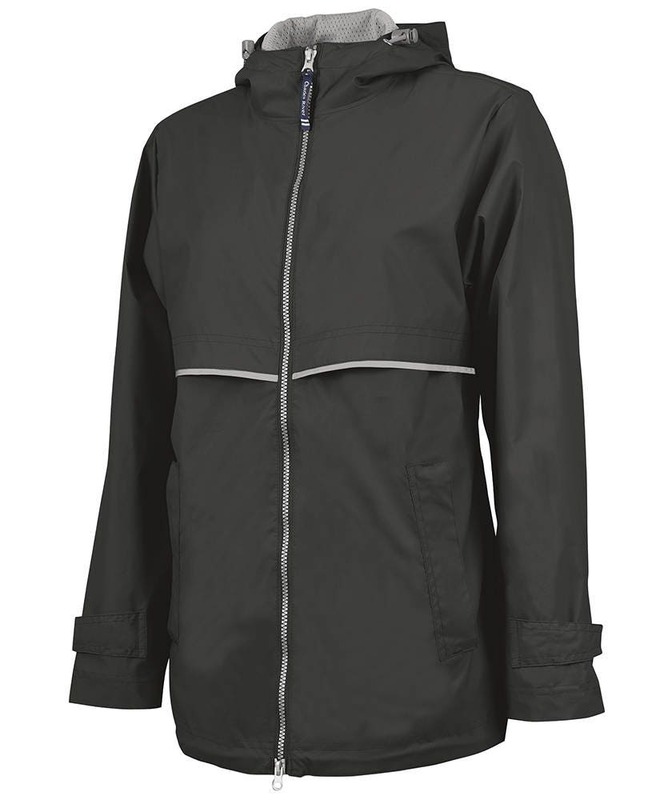 •Lined with grey mesh for air-flow circulation and taffeta nylon in sleeves for easy on/off. 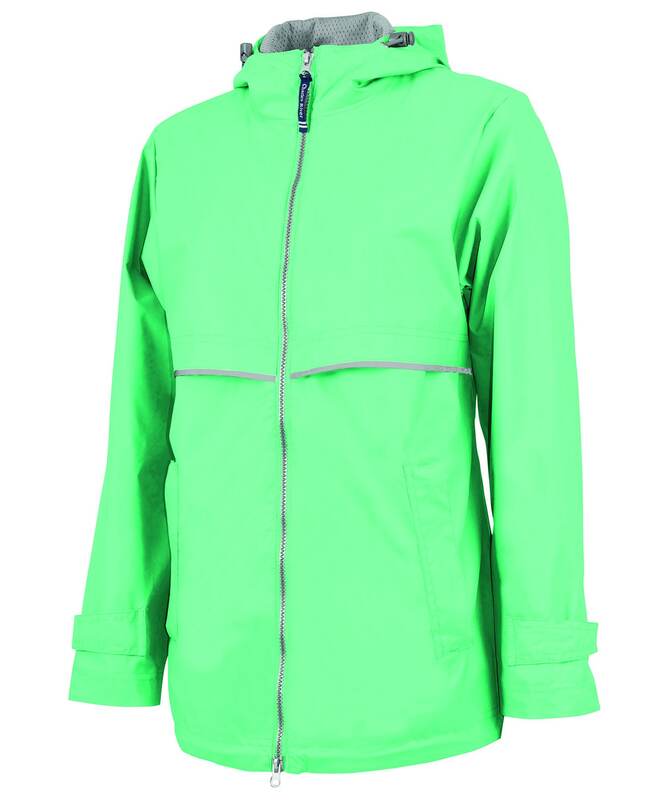 •Hood & open hem with shockcord drawstrings. 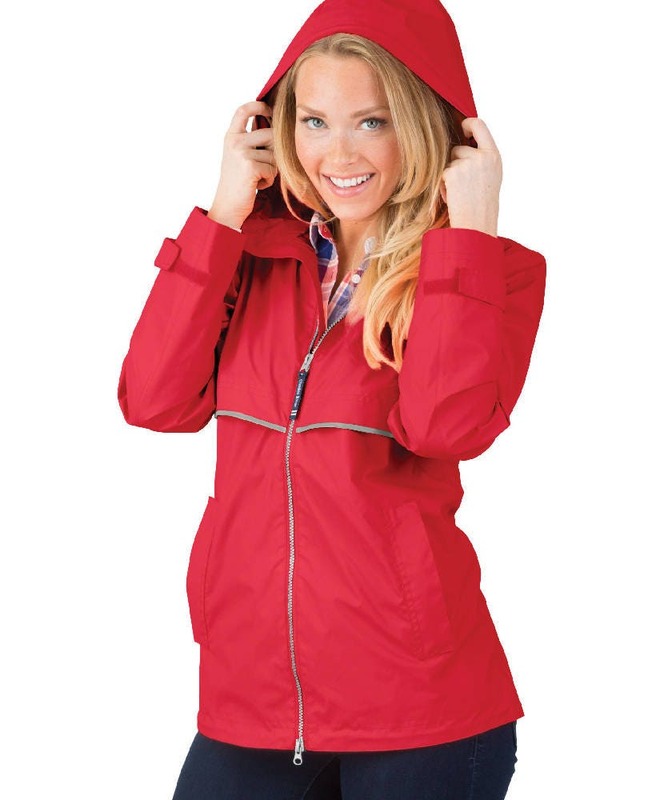 •Wind flap & heat-sealed seams throughout to seal out wind & rain. •Front vented capes for breathability. 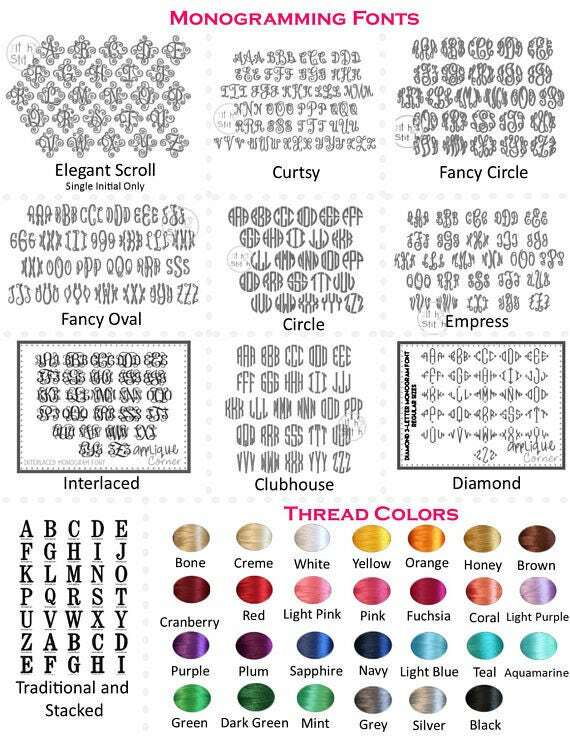 •Reflective stripe accent on front & back. 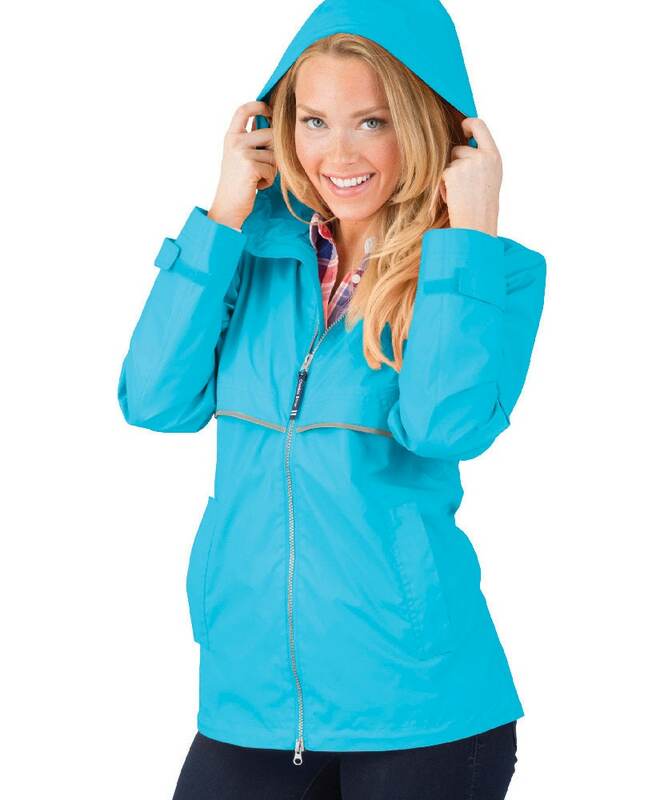 •2-way front zipper offers freedom of movement. 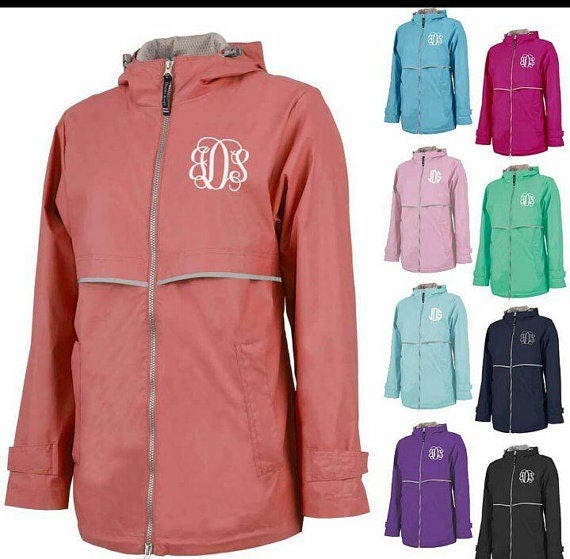 •Features covered zippered side pockets, adjustable cuffs with hook & loop closure and A-line styling.